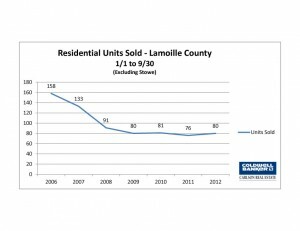 Lamoille County land sales are up by more than double for the first nine months of 2012 as compared to the same period for 2011. The down side to the land market is the over burdened inventory which at the current rate of sale would take close to six years to sell. 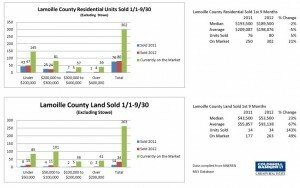 With the majority of land sales occurring under $100,000 and the average list price of $130,000 it would appear that the general land market is over priced. As the unit sales activity increases sellers should have a better sense of value and the prices should start to come more in line with the market. The residential unit sales for the first nine months of this year remains level as compared to the same period over the last three years which is where it has been since the market hit bottom. 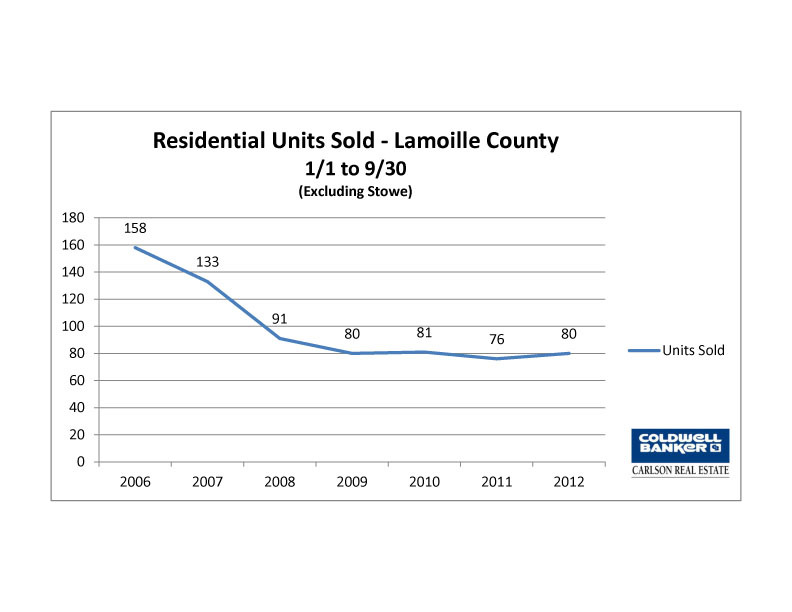 Over half of the unit sales have been in the under $200,000 category with close to 905 occurring under $300,000. As always, proper pricing in a market like this is key and presents an opportunity for sellers who want to stand out when compared to their competition. 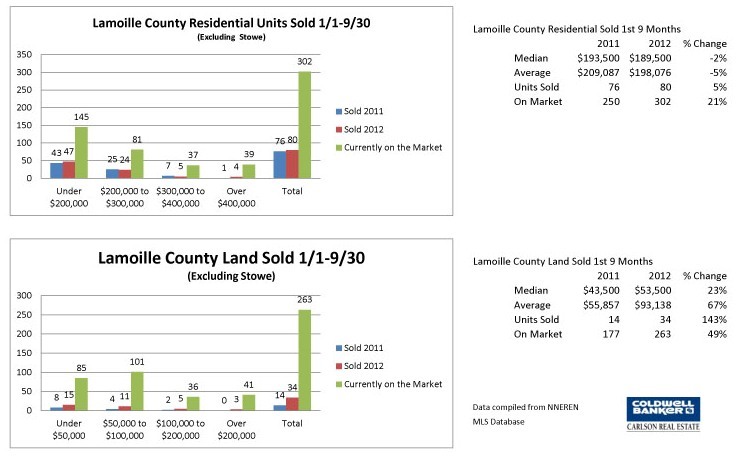 If you would like more detailed market information please contact me at jeff@jeffbeattie.com , call me at 802-371-7491 or visit my website at www.jeffbeattie.com . Hey there I am so excited I found your web site, I really found you by error, while I was searching on Aol for something else, Regardless I am here now and would just like to say many thanks for a marvelous post and a all round interesting blog (I also love the theme/design), I donâ€™t have time to browse it all at the moment but I have book-marked it and also added in your RSS feeds, so when I have time I will be back to read much more, Please do keep up the awesome work.